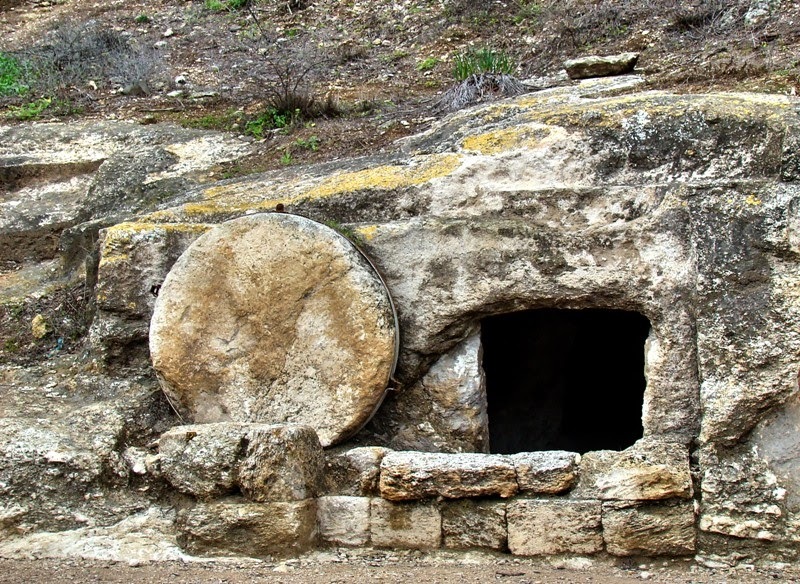 The Well: Is Resurrection Good News? When I look at the beaten, bruised and broken body of the crucified Jesus, I see, before anything symbolic or theological a victim of terrible evil. Many poor and oppressed people see, in that broken figure, which they understand to be the very image of the invisible God, one who understands suffering. One who understands their suffering. And for each of us who have ever been a victim, Jesus identifies with us in our suffering. Our wounds which are unbearable to us can become a meeting place with him and this is a very real grace. On the other hand Jesus was put on that cross and killed. He was arrested, paraded through Jerusalem, mocked, beaten, betrayed, and murdered on a Roman cross. Now think for a minute what the immediate news of the resurrection might mean to those who condemned and killed him. This is not good news is it? Just call to mind any movie you can where a victim of some crime/murder came back to life. The body is missing all of a sudden and they are out there somewhere. This news is horrifying! Jesus body is missing and people are saying that they have seem him alive somewhere here in Jerusalem. At the very least he can now testify to my crime at then there is that unshakable fear that he is here for judgement or vengeance. Easter, for the perpetrator, should not be 'good news.' There minds would race with fear and paranoia as they ask the same question that we see asked in Acts 2:37, after peter explains that this Jesus that they have killed has been risen and made Lord and Messiah by God. Those people of Judea and Jerusalem asked in desperation "What should we do?" Jesus is risen but when we run into this victim of ours we are not met with the vengeance that we might expect. Rather we are met with love and forgiveness. He shows us the wounds which we have inflicted but there is no hatred, or revenge, or blood lust, or accusation. Rather from those very wounds flow grace and forgiveness toward the violators in us. Bearing the wounds of every victim of every crime we have committed against one of his own. Here we see the wounds which indict us, those wounds for which we carry great shame and guilt, those wounds upon which we cannot even bear to look. These very wounds speak grace to our shame. These very wounds speak forgiveness to our guilt. This very wounds speak freedom to the very part of us that deserves to be put into chains. This is not the judgement day or reckoning that we expected. This is the deepest and most profound grace directed toward our most deep and profound evil. The initial encounter with the risen one who might very reasonably have been feared brings relief. That relief stirs in us profound and lasting joy. This is the beginning of a new world with the possibility of forgiveness and reconciliation. Where we could only imagine a victim demanding vengeance and making victims out of violators we find hope for the end of the vicious cycle of violence and historical evil. As we receive his inexplicable forgiveness we can pass it on and forgive as we have been forgiven. We can love much as we have been so deeply and concretely loved by him. Easter is such a relief! Easter is the beginning of a new story and new Being in the world. A new heaven and a new earth are being ushered in and this is really good news! It is such a relief isn't it?